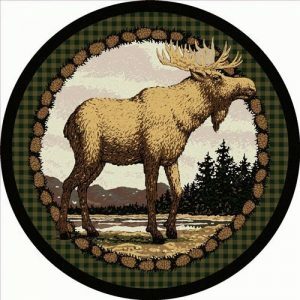 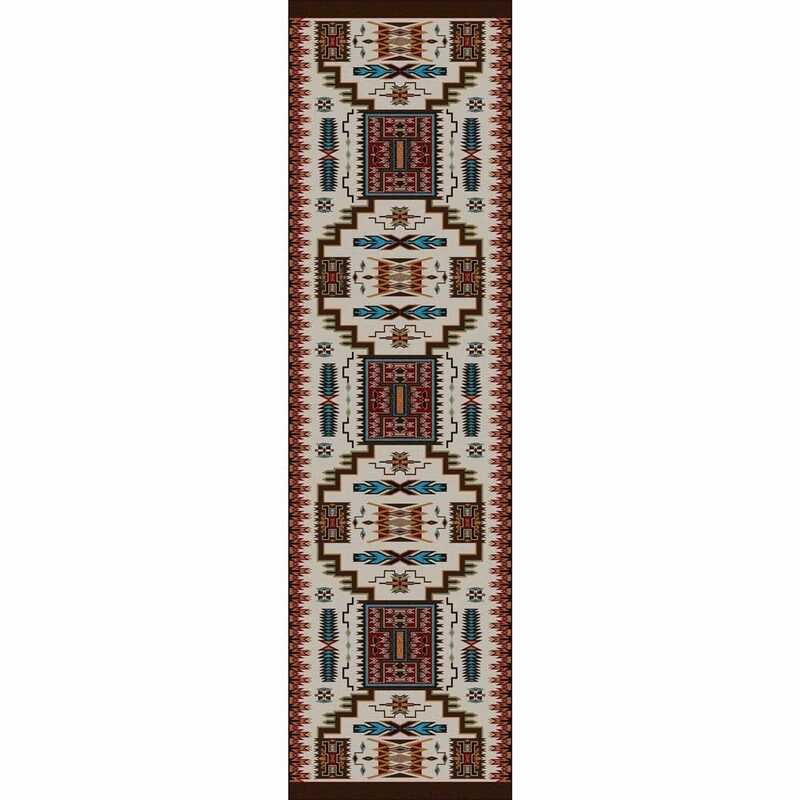 Area rugs by American Dakota made in the USA. 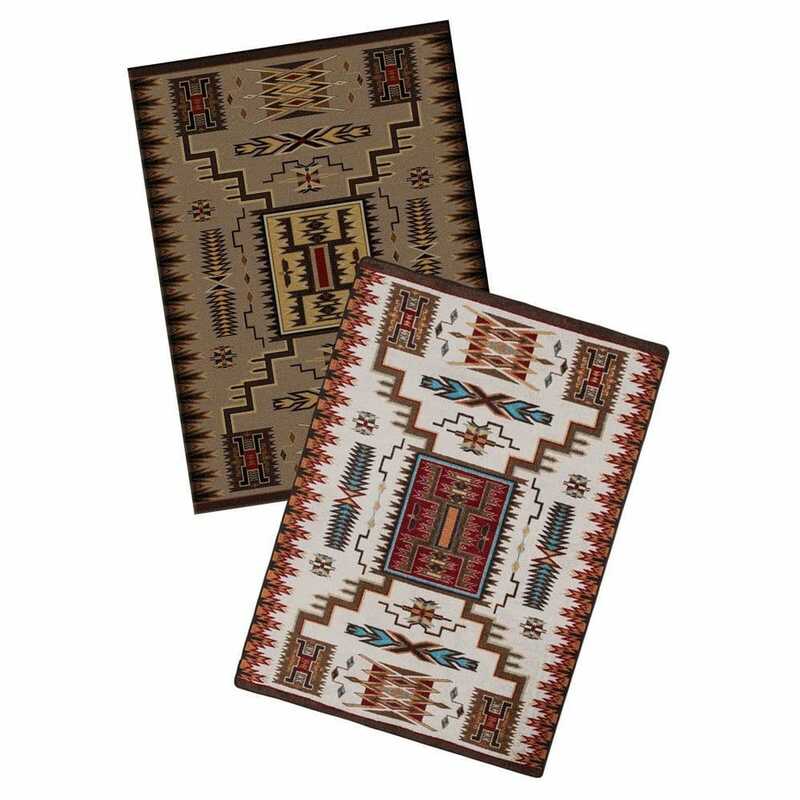 The rugs come in 2colors and 6 sizes: 2×8 runner, 3×4, 4×5, 5×8, 8×11 and 8ft round. 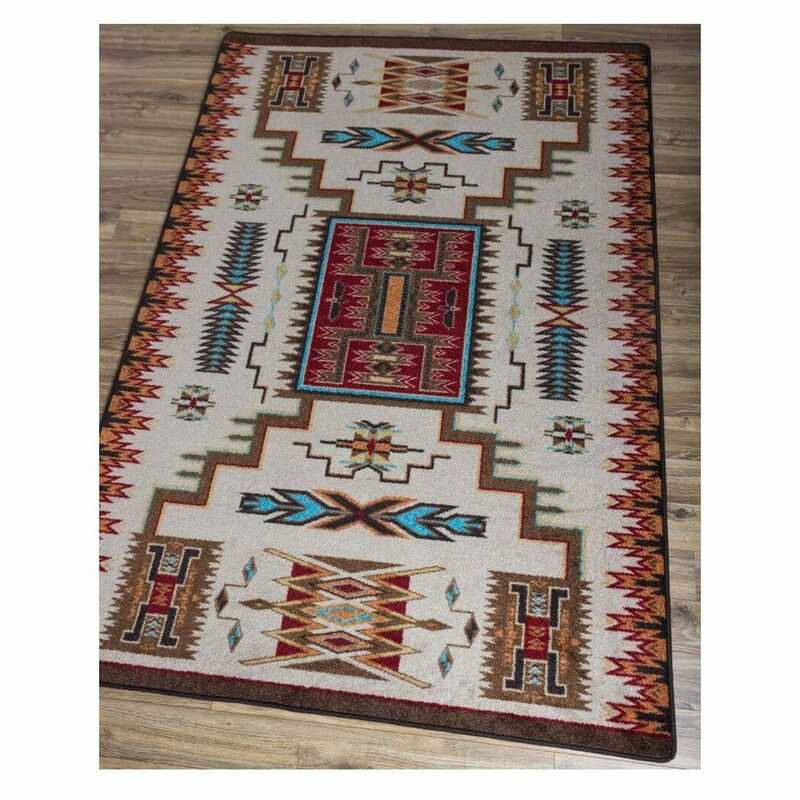 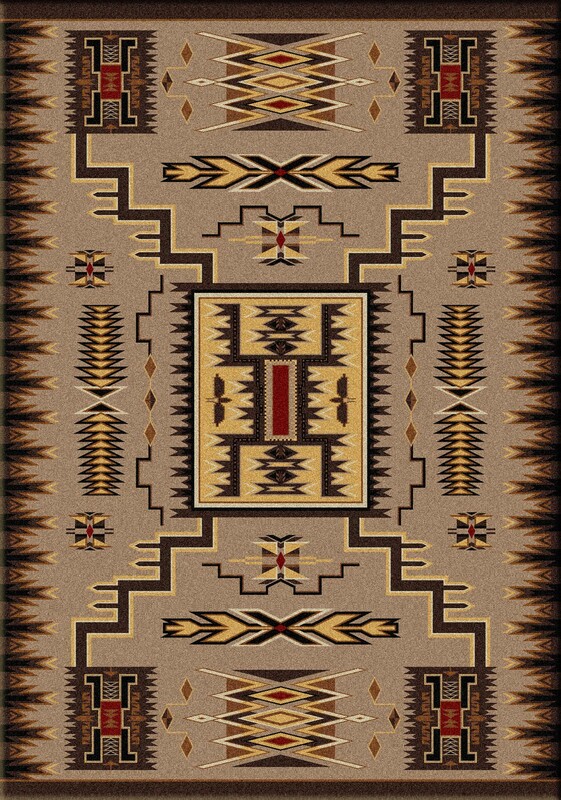 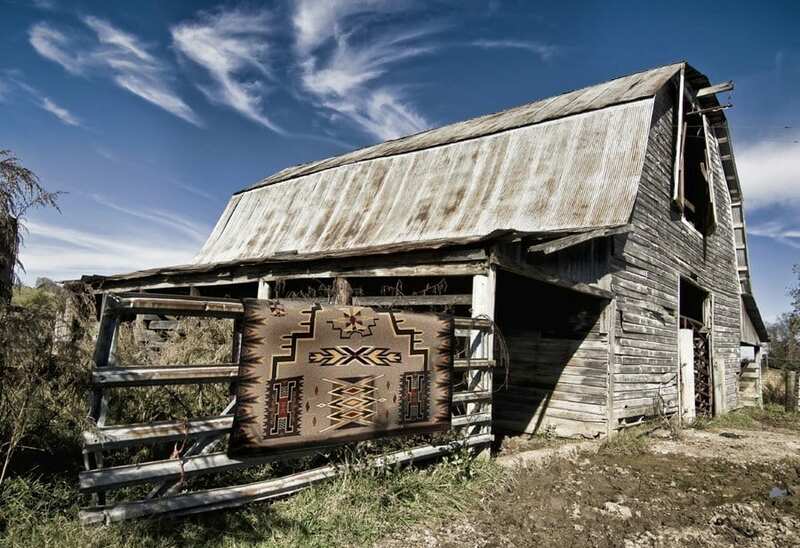 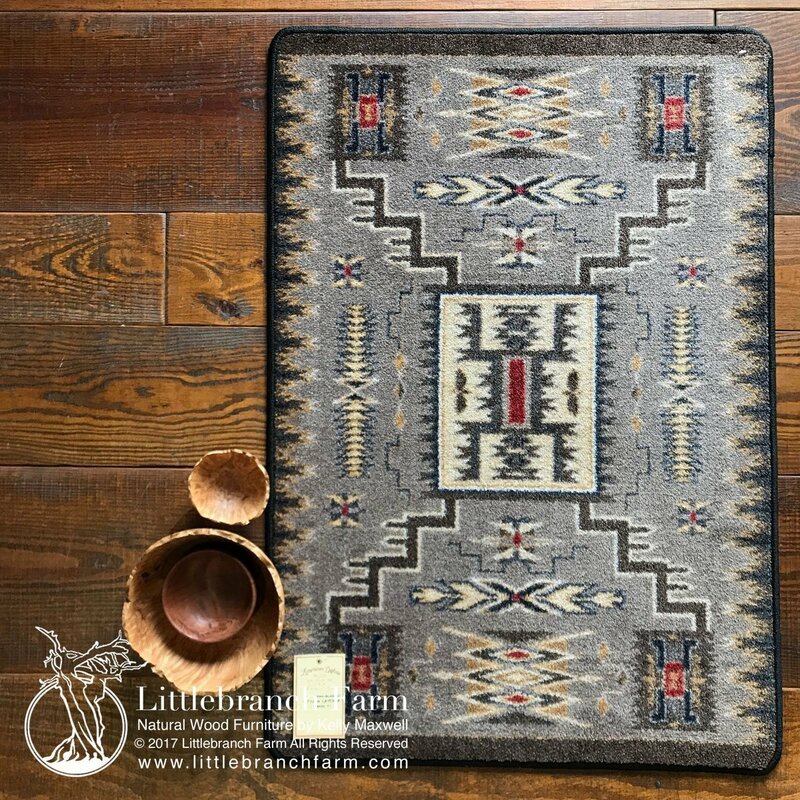 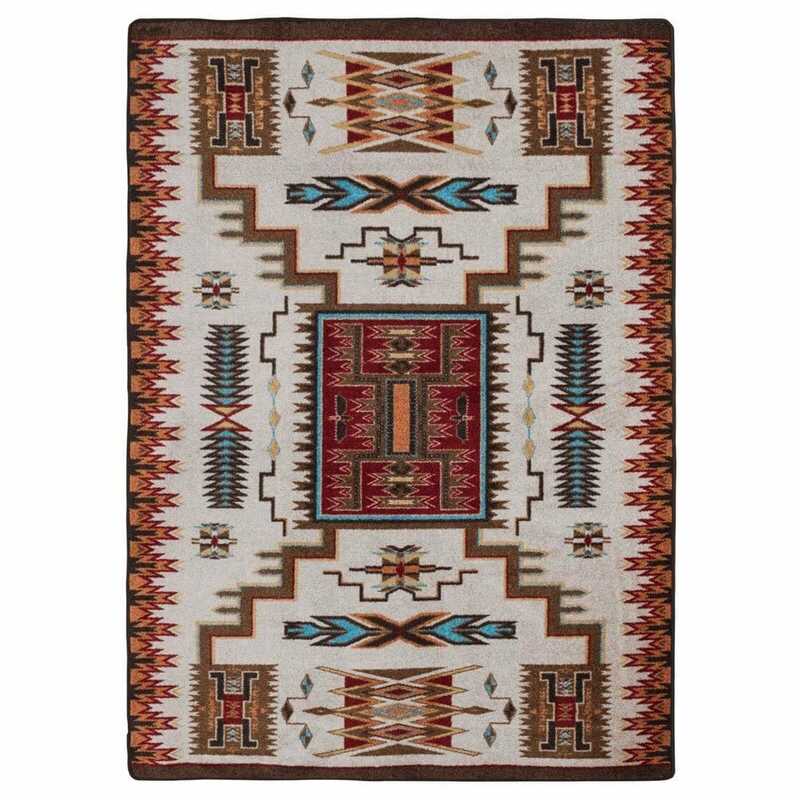 Storm Catcher Southwestern rug is made by American Dakota. 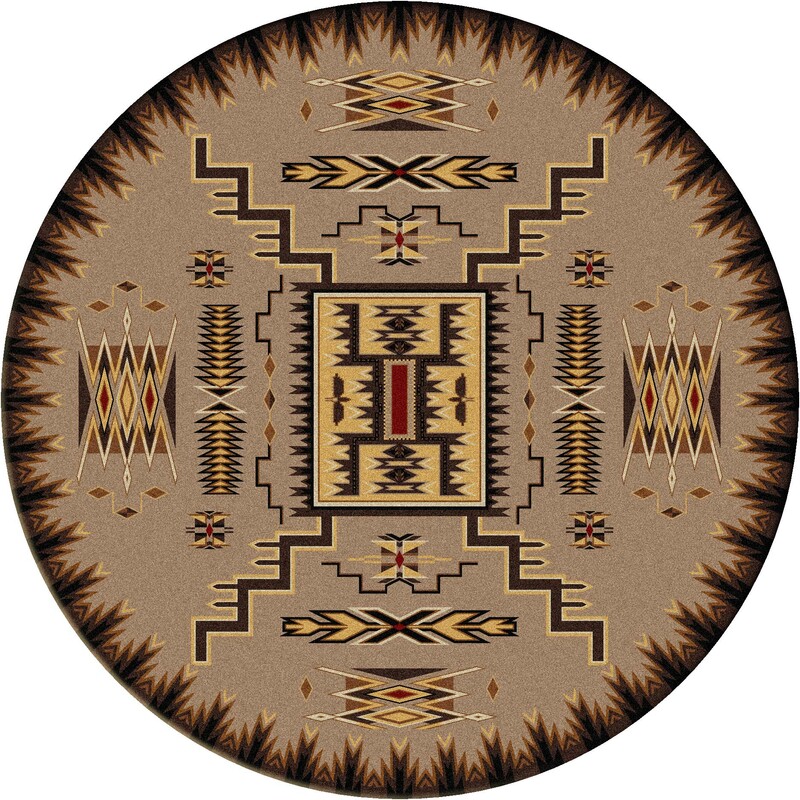 The print is part of their Voices collection and is a tribute to the First Americans. 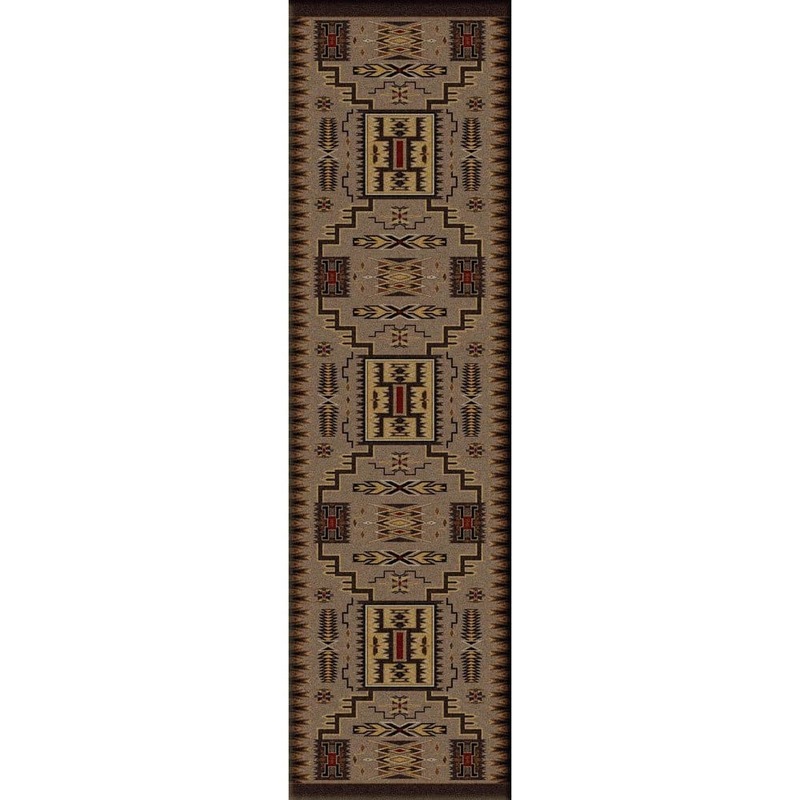 Storm Catcher Southwestern rug is available in 2 colors, chestnut, and rust. 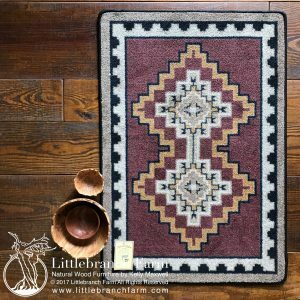 Chestnut has a taupe background with red and yellow accents. 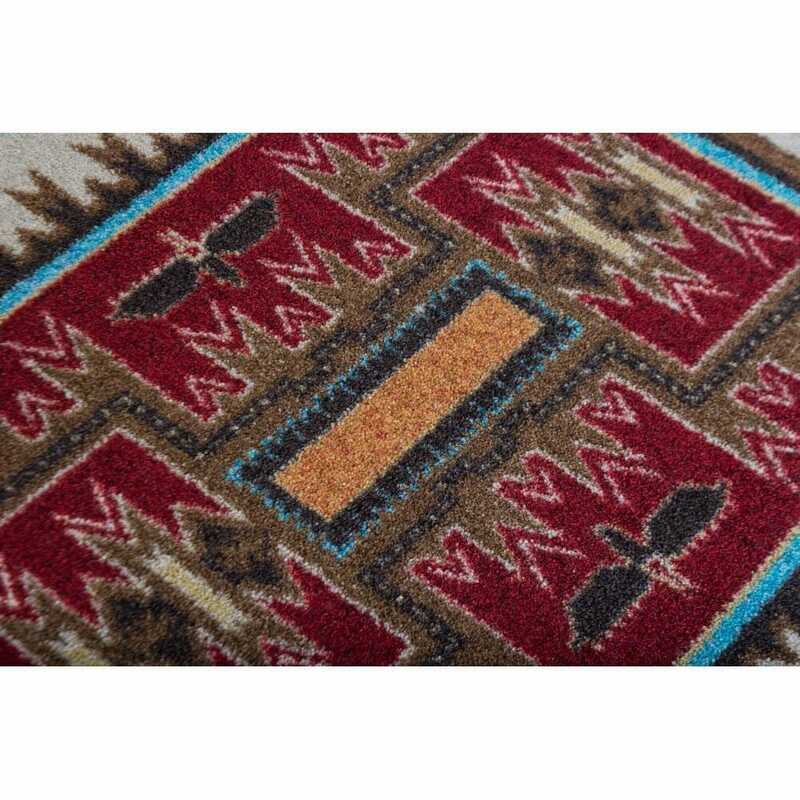 Rust mixes off-white with copper and turquoise. 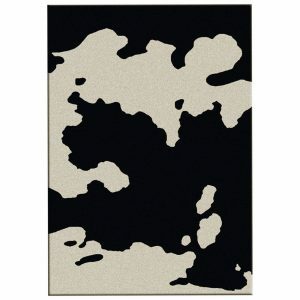 Either color matches easily with any existing decor. 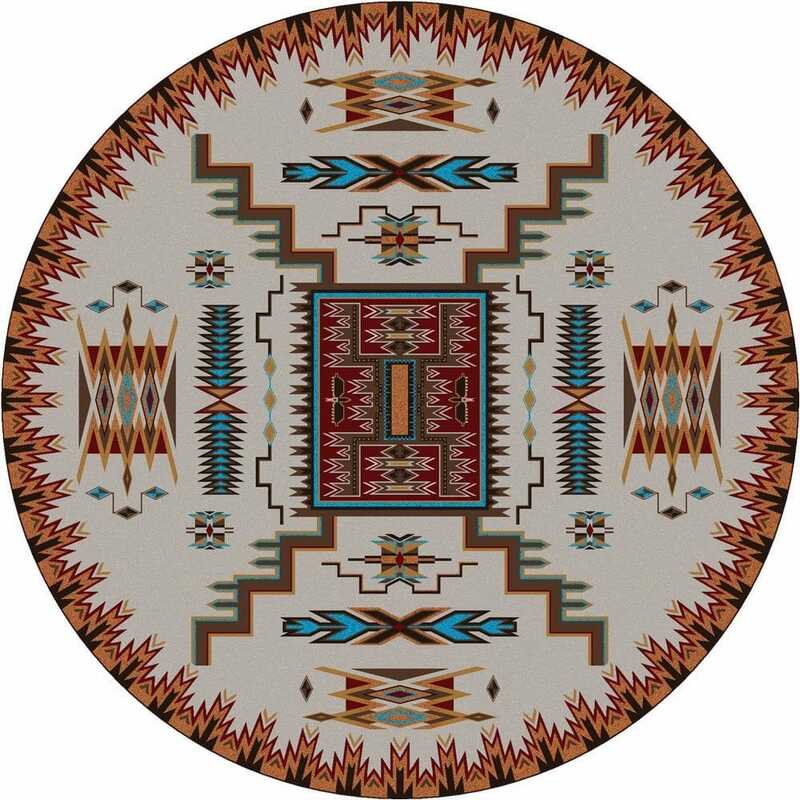 The geometric pattern will create a great focal point in any room. 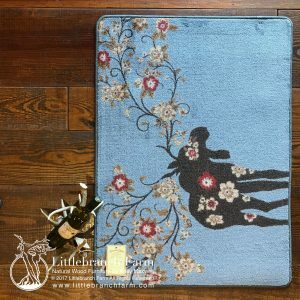 It will also draw the eyes to any furniture you place on top. 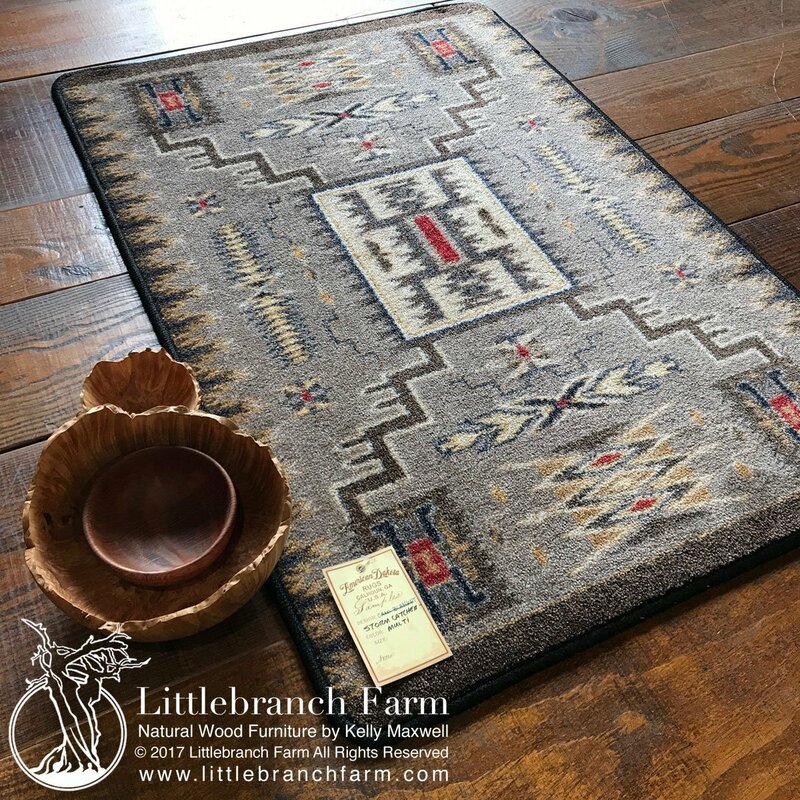 This makes Storm Catcher a great rug to use with our custom, live edge dining tables.